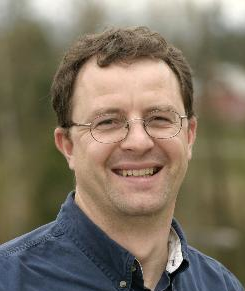 Jens Zimmermann holds a Ph.D. in Comparative Literature from the University of British Columbia, and a Ph.D. in Philosophy from the Johannes Gutenberg University in Mainz, Germany. He currently occupies the Canada Research Chair in Interpretation, Religion and Culture, and is Professor of English at Trinity Western University (TWU) in Langley. He has published eight previous books in the areas of theology, philosophy, and literary theory. He is board member of the International Bonhoeffer Society (English Language Section), and co-editor of the IBI (International Bonhoeffer Interpretation) series. With two other colleagues, he also runs the Religion, Culture and Conflict group at TWU, which organizes inter-faith conferences. The group recently published Politics and the Religious Imagination (Routledge 2010). Dr. Zimmermann has just released a new book from Oxford University Press in 2012 (Humanism & Religion: a call for the Renewal of Western Culture) from which comes the theme of today’s lecture.